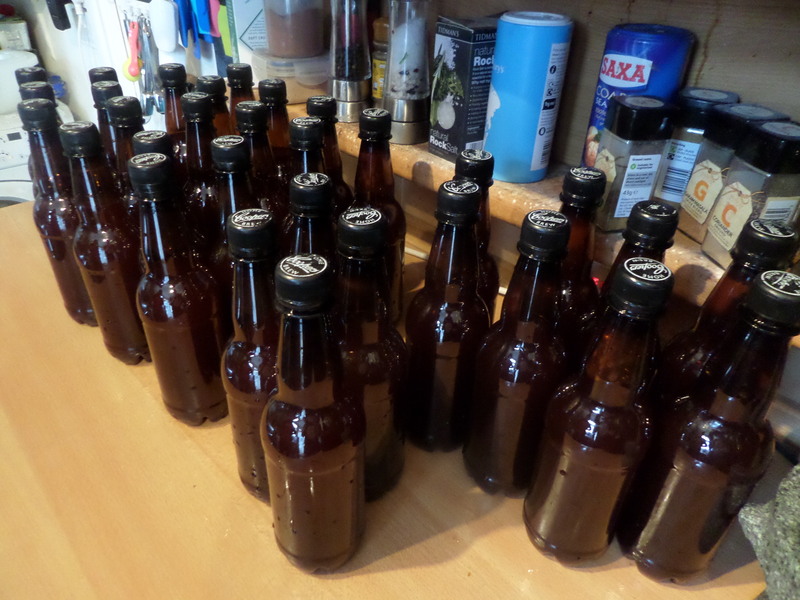 It’s been two weeks since we started our beer, so it’s time to ‘rack’ it – ie bottle it. 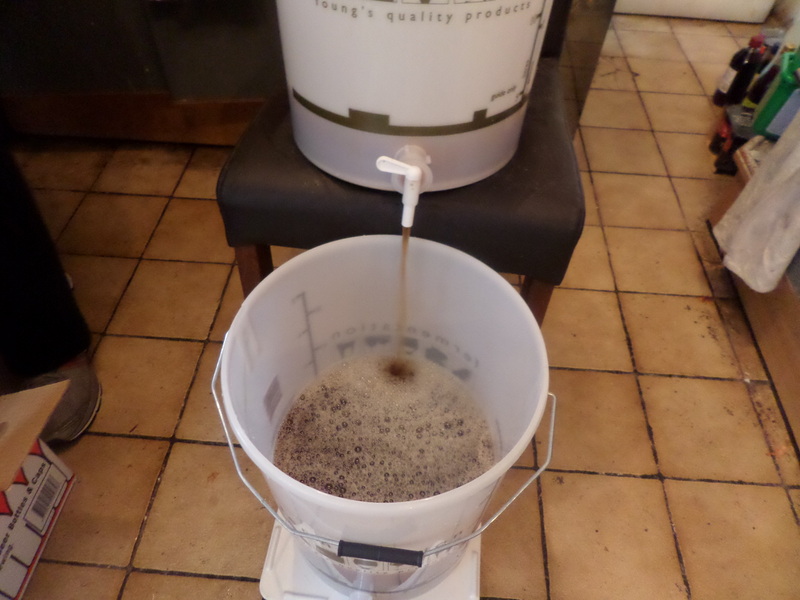 After taking that reading it’s time to transfer the beer from one bucket to another (sterilised) bucket, leaving behind the yeast. 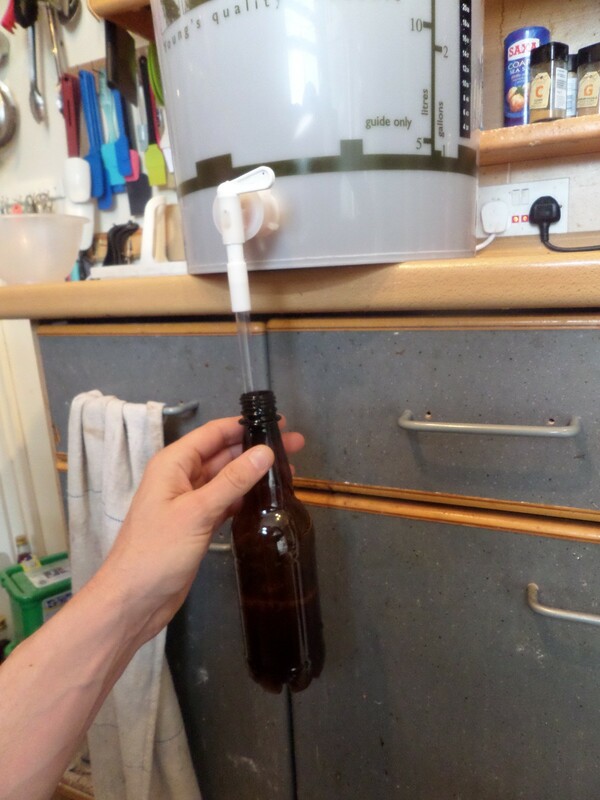 I’m saving some of the yeast, so we’ve always got a supply of emergency beer yeast to make beer yeast breads whenever we want. 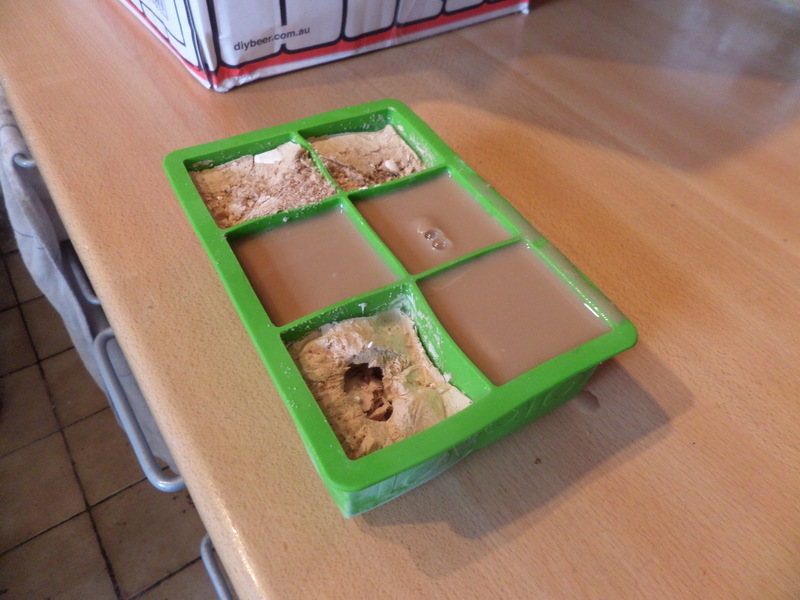 We’ve still got three ice cubes of it left from the original batch, and my plan it to just keep six cubes around at all times. 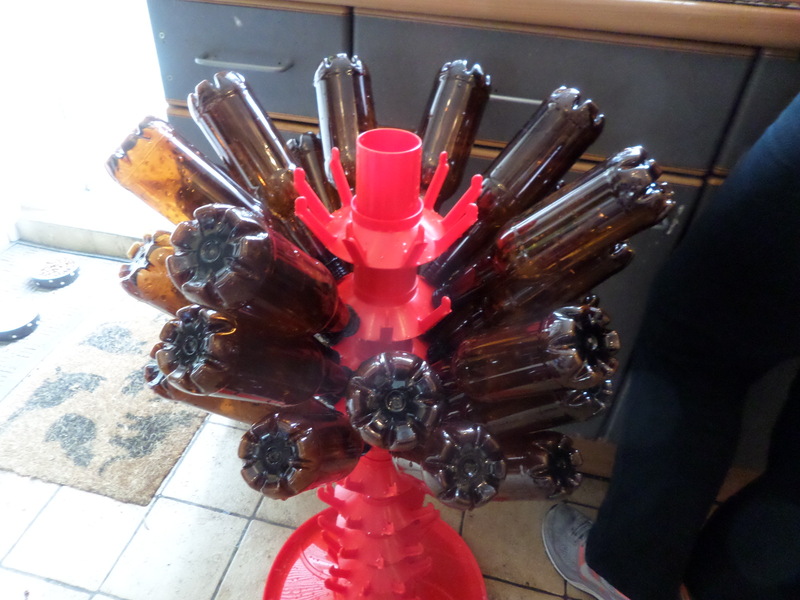 The bottles get sterilised, and popped on the bottle tree to drain. Then it’s time to add sugar to the beer, which the yeast uses to create carbon dioxide, which makes the beer fizzy. Then we fill the bottles using the clever bottom-filling tube. Then it’s caps on, and we’re done. All in under an hour! Now we wait for two weeks until it’s ready to drink.